- High sensitivity of 0.4m/s. - Air flow calculates function. - Max/Min/Avg and data hold. - Auto power off with disable function. - Datalogging capacity: 99 records. at air outlets on account of its 30mm vane. 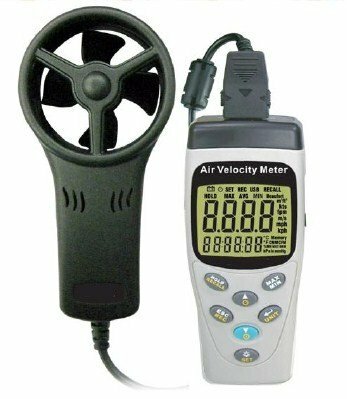 In addition to air speed and temperature, also measures air moisture and absolute pressure. In this way, air conditions can be reliably checked.